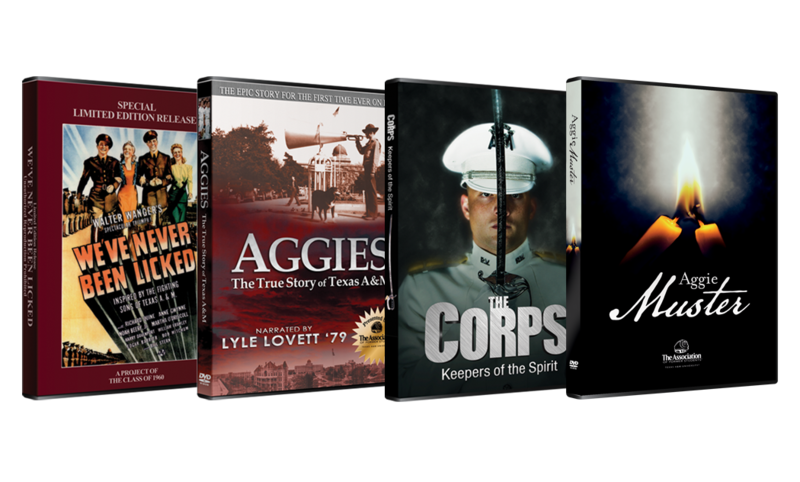 Bring home the Aggie Spirit on DVD today! From San Jacinto to Corregidor, and beyond; learn the true story behind Texas A&M's greatest tradition. See the Texas A&M Corps of Cadets from the inside with unprecedented access behind the scenes. Witness the birth of the Aggie Spirit. From 1876 through modern day, find out what makes Texas A&M so special. Get the Hollywood film shot on-location at Texas A&M. Richard Quine and Robert Mitchum star.